Organising a class outing can be challenging, especially when it’s for a meal. Not only must you find a time that works for all, you also need to agree on a budget and restaurant everyone will be happy with. This is why buffets are always a fail-safe choice for gatherings, thanks to its abundance of dishes. And with tons of student deals around town, price will seldom be an issue. 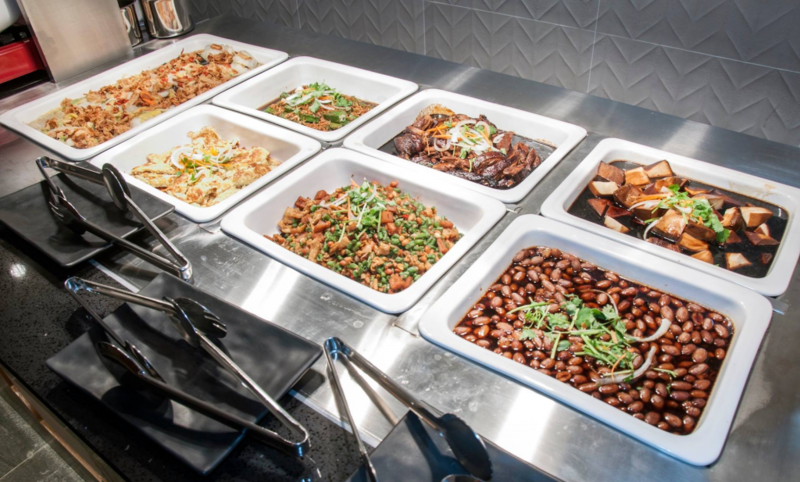 So gather your posse and visit these cheap student buffets in Singapore on your next meet-up! Not everyone is willing to spend $10 on a buffet, let alone a meal. Al Jasra Restaurant’s Prata Buffet ($7.90) is a great choice to accommodate your entire class’ differing demands. 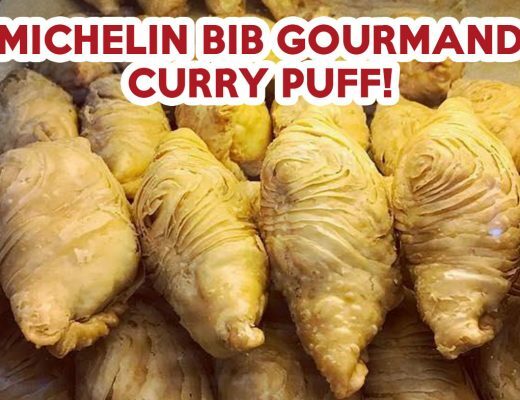 Located in a coffee shop near Kembagan MRT Station, this easily accessible prata buffet has over 15 prata flavours, from masala to ikan bilis and honey! Find out more about Al Jasra’s prata buffet. Swing by ROCKU Yakiniku for their 100-minute student weekday lunch promotion ($13.90++). Here, you are invited to pile your plates high with beef, pork ,chicken and seafood, before cooking them over a Japanese charcoal grill. Decked up in graffiti, the restaurant has an upbeat vibe and is an ideal place for a fun meet-up with your friends. Unlimited Korean dishes for just $9.90 is possible thanks to 8282 Korea. 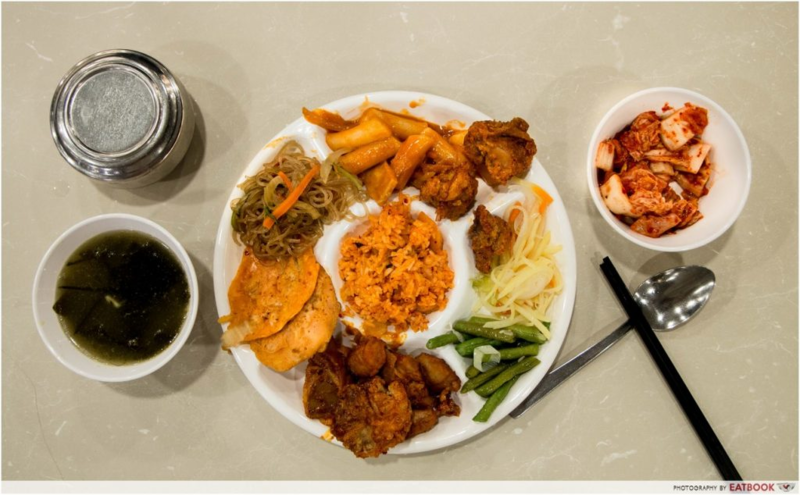 Located in Great World City’s Food Junction, this pocket-friendly Korean buffet is run by a team of South Koreans so you can expect the real deal here. The menu changes daily, but you can keep track of what’s being served by following their Instagram page. Check out our full review of 8282 Korea! Give your wallet a break and come for Seoul Garden’s weekday lunch to enjoy 20% off the adult pricing ($17.99++, ~$16.83 after 20% discount). With up to 130 food choices, you will definitely leave the restaurant feeling satisfied. One of the longest standing Korean buffets in Singapore, I legit spent all my EOY exam celebrations here. 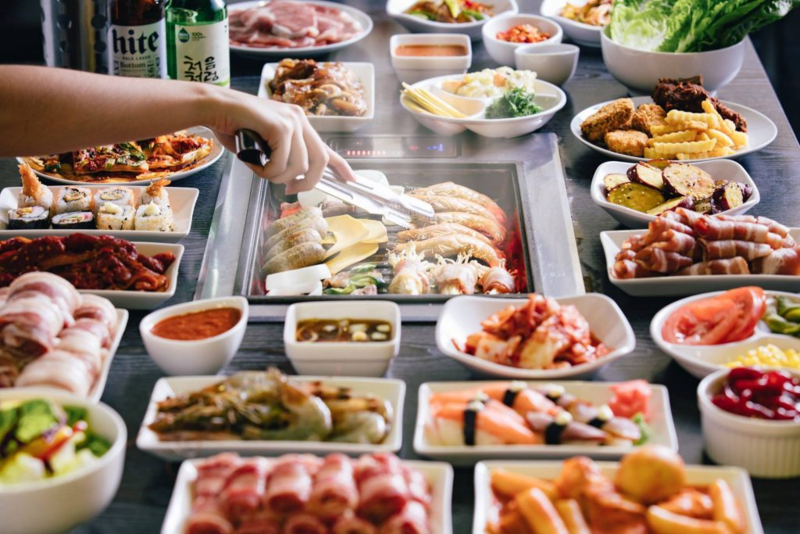 They are also the only Korean BBQ buffet that’s halal-certified, explaining its popularity. 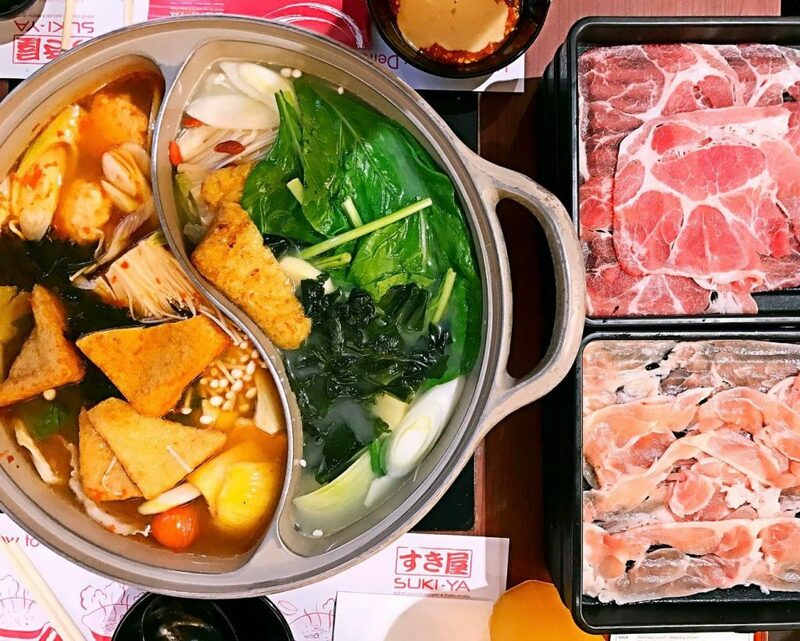 Take advantage of Suki-Ya’s 60-minute School’s Out ($13.90++) deal, where you are given a choice of five sumptuous soup bases to go along with their thinly-sliced meats and assortment of vegetables and meatballs. What I love the most about this Japanese steamboat restaurant is their interesting soup bases like tonyu miso (Japanese miso with soy milk), Kimuchi (Japanese-styled kimchi), and Butaniku (pork-based soup). 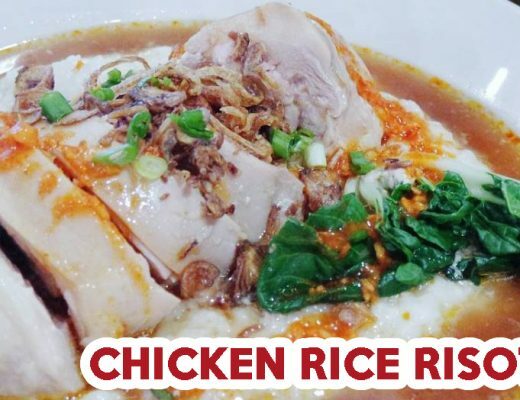 Find comfort in a warm bowl of porridge at iSteamboat’s Teochew porridge buffet ($8.80++) after your exams. Here, you are treated to a selection of tasty sides including minced meat, ngoh hiang, and crispy fried fish to go along with their sweet potato porridge. 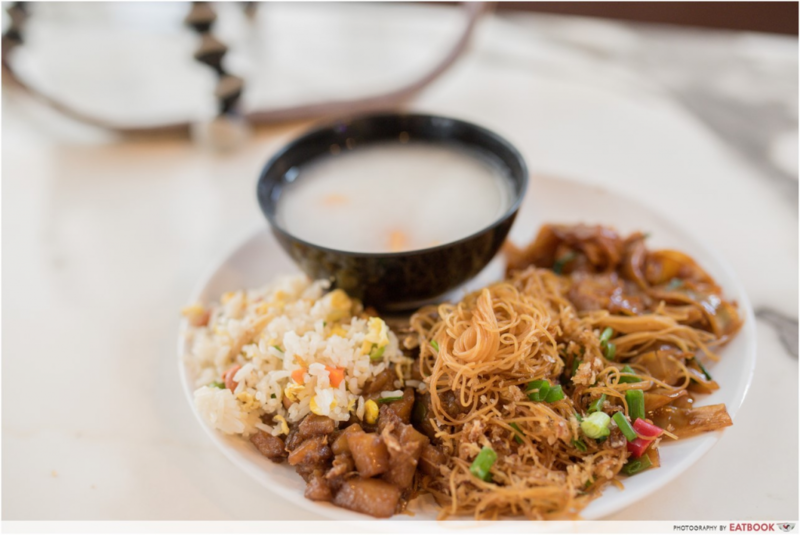 If you fear Teochew mui won’t fill you up, you will be glad to know they also offer other delectable staples like char kway teow, fried rice, and carrot cake. See what else is being offered at iSteamboat. I’m Kim Korean BBQ’s 90-minute weekday student buffet lunch ($12.80++) is one of the cheapest in town. 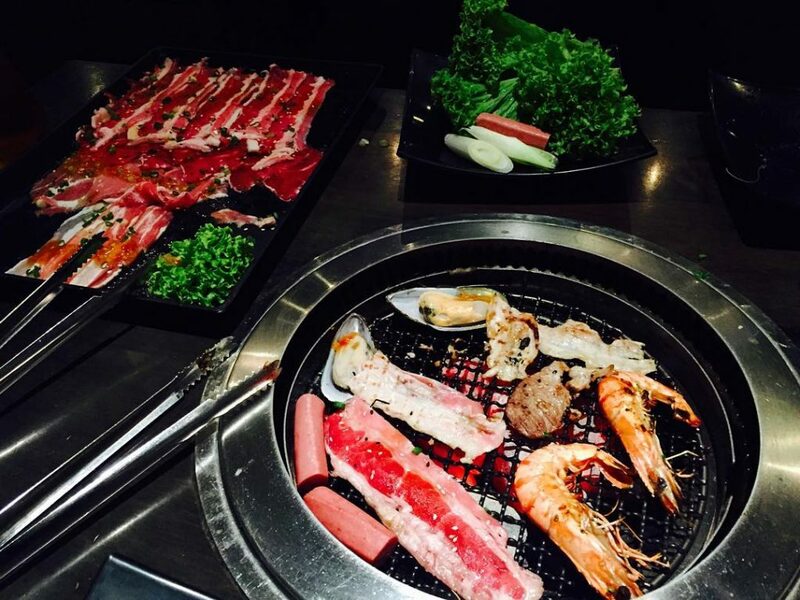 Available for you to grill up are 10 types of meat, as well as over 20 vegetables, appetisers and seafood. There’s also an array of free-flowing cooked food including chicken wings, kimbap, and tteokbokki for you to enjoy while you wait for your food to cook. If K-BBQ is not your thing, check out these other restaurants near Bencoolen MRT Station! 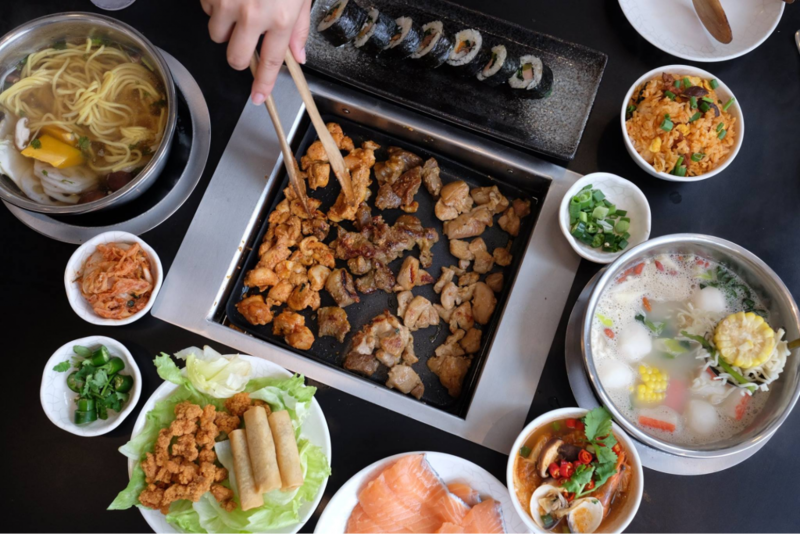 Great for hungry souls, GoroGoro Steamboat & Korean Buffet ($14.80++) offers up to 50 selections of quality meat, vegetables, as well as a spread of cooked Korean delights like salted egg popcorn chicken, Korean pancake and japchae. The buffet also comes with two soups of your choosing, with my go-to being their spicy ma la and beauty collagen. 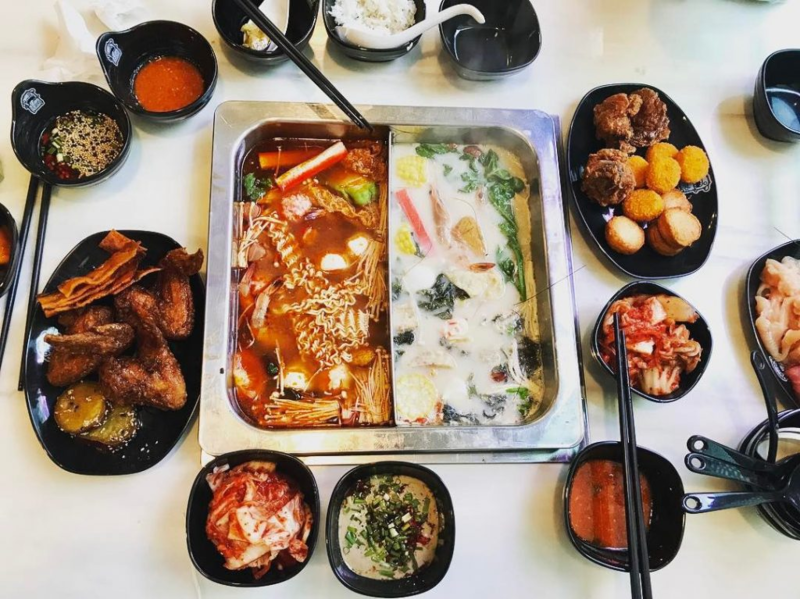 If you and your friends are looking for something easy on the stomach, head to MANLE for their Teochew Porridge Buffet ($12.90+ for lunch, $14.90+ for dinner). Opened by the brains behind successful Western bistro Astons, the spread comprises of 30 sides like pork belly, pig trotters, braised duck and steamed fish. They also have a steamboat buffet, although that might burn a hole in your pocket at $28.80+. Annalakshmi has a unique trust concept that lets you pay as you wish. 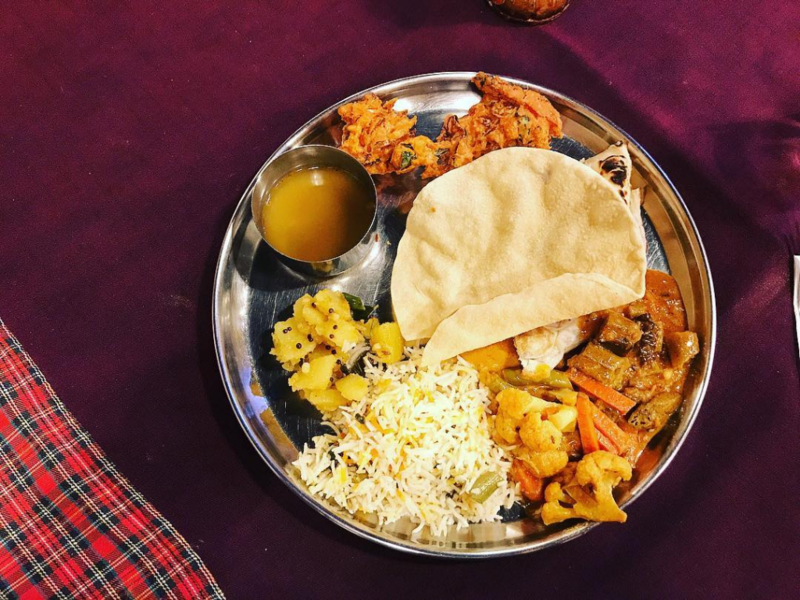 Now, while I know the majority of you reading this are meat-eaters, don’t let their vegetarian Northern Indian cuisine turn you away – they are brimming with spices and aromatically delicious. Reservations are highly recommended as the restaurant gets full real quick. Be sure to flash your student card when you visit these buffets to enjoy their student deal. Then, rejoice in more pocket-friendly meals with these cheap food around town or have supper with your mates at these 24-hour restaurants. Featured image taken from Instagram user @badgurlfaye‘s post.